Bring a little piece of the tropics to your next party with our 14 FT Tropical Water Slide! Make your event one everyone will be talking about by adding water! 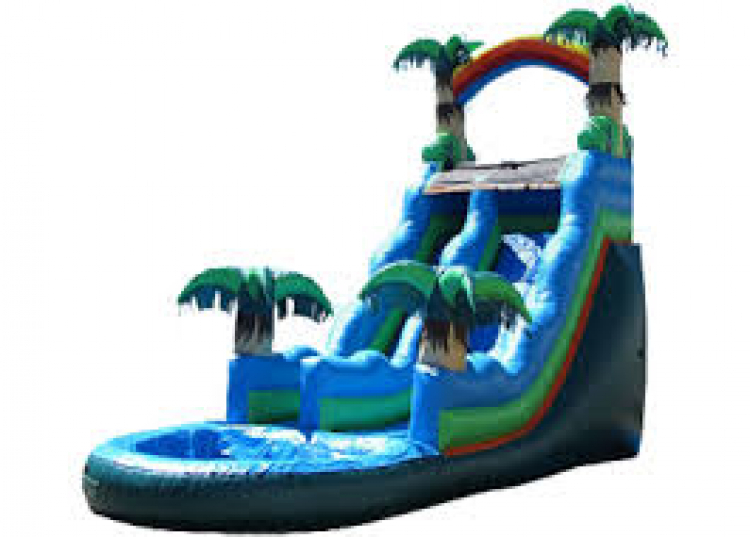 This slide is super fun as you can slip, slide and splash into the pool at the bottom!